I started getting the check engine light and codes for the o2 sensor on bank B. 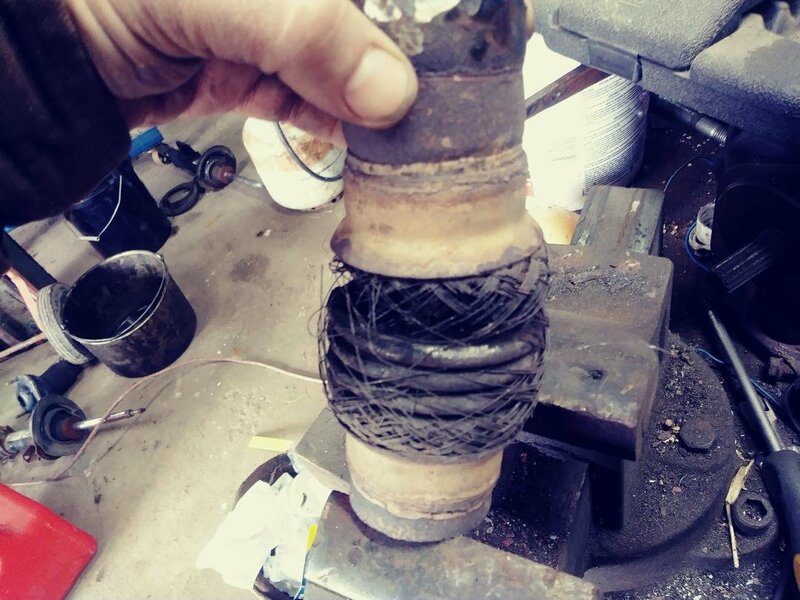 Not to long after you could hear a slight sound like a small exhaust leak. Well it got louder and best I can tell its that flex joint right up front. The exhaust looks in good shape except this joint. Are these hard to change and does anyone know where to get a new one? Shop for GM part number 25861524 and see if your dealer or a local parts house has what you need. Be sure you get new attaching hardware and gaskets, too. "Hard to change" is a relative term which depends a lot on your skill level. 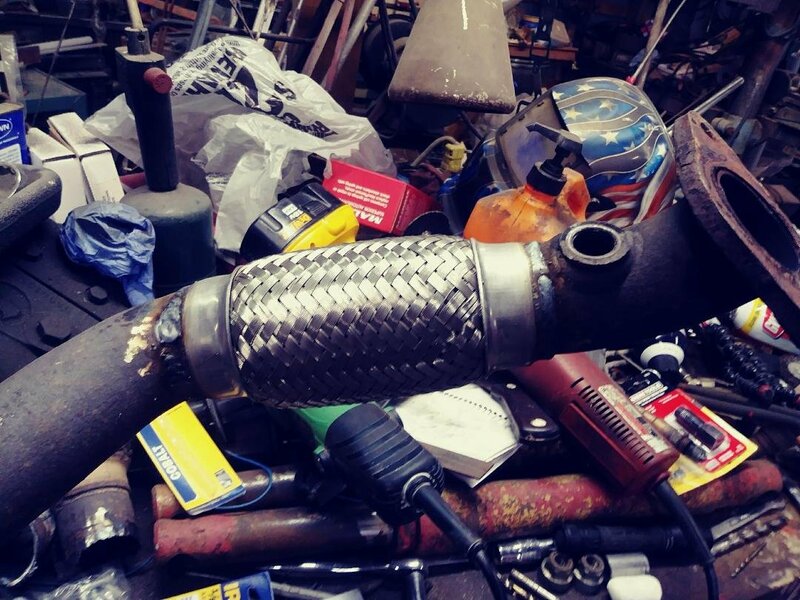 It's probably the most accessible piece of the exhaust system. Don't change it while it's hot. Wear eye protection. Last edited by speleos; 12-11-2018 at 08:03 AM. I had a local exhaust shop do both of mine. $225 and done in 30 mins. I thought about doing it myself, but the bolts were badly rusted and I don't have a cutting torch. Thats pretty pricey to replace that whole piece. I may try and just weld in new flex pieces. That price was to replace both flex joints. Also Canadian dollars so about $10 US. I think $225 US is a fair price for that repair......but that's coming from someone with a welder that could do the repair myself. fixed the exhaust leak and hopefully made it better. the original flex joint was only 2in, this one is 4in so hopefully this one wont break because is has a little more give. I thought it would be a quick fix but a stud on the cat broke and one of the oxygen sensors twisted off even though I heated it up around it. I dont think GM used neverseize. 2 days of work and close to $200 later. Two different autozones and orielly, I got enough stuff to fix it. Great work, @Michaeljp86. Your thread was merged here to provide a proper conclusion for the original post.